If any of us even have a notion that democratic South Africa has built a pool of highly skilled Leaders, political, labour or business Leaders, you will be shocked at what you are going to find in our country today. The Lonmin saga rages on whilst all the main stakeholders are keeping numb. The question is who and how are we going to target blame. Our democracy, our healing process, our dignity in human rights, our values, the “Rainbow Nation”, all of what we have worked on is at risk. The Reserve Bank send out warning signals, and our Ministry of Finance are battling to assure International Investors that everything is “OK”. Leadership to mend the cracks in our fragmented socio-political and economic order are not available and are unable to give attention and guidance to its disillusioned supporters and followers. We as training experts, facilitators and advisors are like lame ducks. Did we give guidance to our supposedly political, labour, business leaders over the past umpting years on a focus direction to follow in speeding and developing Leaders for our country. Are we the academics and the experts in human capital development that are supposed to ensure a progressive and sustainable growth in our human capital needs for our economy. Yes we have failed in developing leaders, the Education System is certainly not the best, and the quality of people leading in our SETAs, FET Colleges, in Labour and even training Providers leave much to be desired. Did SAQA fail in its mandate to help make the system to work? Are the Ministries of Education, Trade & Industry, Treasury properly guided and informed on the situations of our schools, FET’s,colleges universities of technology and universities. We are not only abusing valuable time but wasteful resources in education appear to be in the hands of incompetent supposed Leaders. We need more arguments, discussions and debates on skills universe on how we can collective address the lack of responsibilities and accountabilities in those who lead in our education as it leave much to be desired. We as skills & development experts, trainers and facilitators of training need to be more vocal and to make representation to the appropriate authorities on this pathetic path of development of our national skills base. I will be happy to be part of a delegation to meet with senior government people and the Ministries of Education in order to bring some sanity to those who are willing to assist and support us in bringing people centred skills training & development to the national agenda for review and for appropriate changes where required. There is nothing wrong in the legislation nor in the systems and processes, but the supposed people in most of the leadership positions need to be revisited and a proper and effective performance need to be done on all of them as to their competencies in knowledge and as leaders. We cannot shy away from our responsibilities to support an effective and efficient process in successful learning and development. Government is their to create the enabling environment, we are there to proceed in the mandate of building in high quality universal skills base. It will make all of us proud. “I do not expect accolades from the peanut gallery” but constructive criticism on how we can address this fatal blow to our wonderful democracy and beautiful rainbow nation will be useful in getting our nation back on track. Well said – personally I have a very strong view that the lack of leadership in the human resources field is a major contributory factor to many of the problems we have – be it Marikana – be it the SANDF members who apparently have been suspended for a ridiculously long period of time – just today’s examples but you can find examples every day in media reports. Tim…. Thank You, I thought that I was listening to myself only. My comments and efforts in no way think of Capitalism vs Communism and some people assume. It has absolutely nothing to do with any of the two. You are right Tim…. it has to do with “Value for all”. 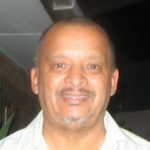 We really need to look at South Africa as an economic hub and look at the diversity and challenges facing our society../.. and we must not be afraid to address the challenges with trust, truth, sincerity and we need to balance the corrective action with the “masses” that are asking for leaders to emerge. Help Tim…. Please Help. Thanx. Count me in! I’m convinced that nearly all of our problems could be improved (if not solved) through effective leadership. Our leaders in every field (including business) leave much to be desired in terms of authenticity, empathy and engagement, not to mention ethics. One thing that strikes me is the lack of leadership training – to my knowledge there are no education facilities that offer a course in pure leadership, many have modules or short courses, but these are usually not part of the core syllabus. Most business Schools are the same. Leadership is required in every facet of society from politics to NGOs, from CEOs to community leaders. In my work as a part-time lecturer in leadership, there is a great deal of interest from students, many of who want to study it further but can’t do so. Our leaders need to move from a mindset of “Profit for me” to one of “Value for all”. It’s unlikely to change in this generation of so called leaders, so we need to ensure that we develop the skills now and rid this country of corruption, non-delivery and future Marikanas.